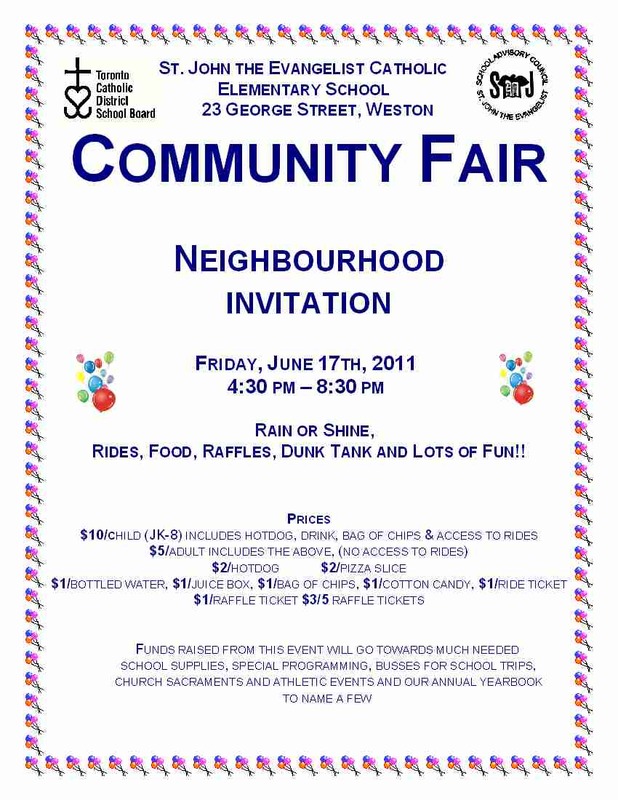 St John the Evangelist Catholic school will be having its community fair on Friday, June 17, from 4:30 to 8:30. There will be lots of fun—rides, a dunk tank, raffles, and more. The admission is flat rate: $10 for kids, and $5 for adults. The money raised supports the school, of course.